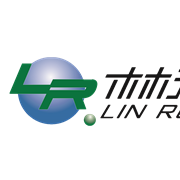 Changshu Linrun Fluorine And Silicone Material Co., Ltd., focusing on the development and use of fluorocarbon,silicone - acrylic emulsion, providing overall solutions of Water-based multicolor coating(sand included type) and supporting scheme of water resistance of thermal insulation board. We also provide stain resistant and high-performance building cover light system and supporting scheme of Water-based anticorrosion coatings. To help customers solve technical difficulties, improve product quality.